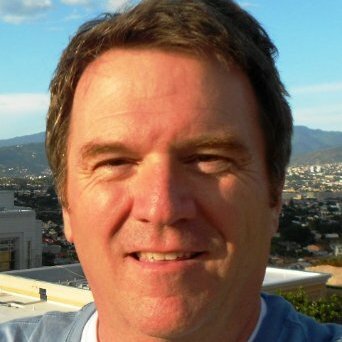 Doug E. Brown is press release writing, editing and online distribution expert. He has been involved with public relations and internet marketing for more than 20 years. He founded Newswire, and if you have done anything in the world of media or press releases, you’ve used Newswire. We talk about how he has disrupted the world of media releases and about his strategy using LinkedIn to completely disrupt the sales process. Doug is currently the Editor-in-Chief of Newswire Network (www.newswire.net) a news and press release distribution website. Newswire is a Google News partner site. Doug is also the author of many books and articles, including the best-selling book “Write a Great Press Release” a guide to creating a press release that will be published, re-published and read by your target market. This book is now available to Kindle Unlimited readers free of charge, or it can be purchased on Amazon/Kindle. Doug is also the author and developer of “PressRoom”, a WordPress Plugin that allows any website to create a proper press room, or news page on their own website. This plugin is free to download at www.wordpress.org. Click to learn how Doug uses Linkedin to find customers fast. Mark S A Smith: Doug Brown is a PR guru. He founded Newswire, and if you have done anything in the world of media or press releases, you’ve used Newswire. 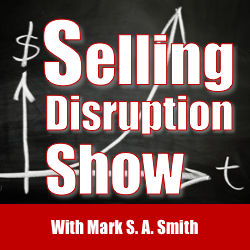 He’s my guest today on the Selling Disruption Show. We’re going to talk about how he has disrupted the world of media releases and we’re also going to talk about the strategy he used to do so using LinkedIn to completely disrupt the sales cycle. I cannot wait to share with you what Doug has. Welcome to the show, Doug. Doug Brown: Well, thank you, Mark. It’s a pleasure to be here. Mark S A Smith: The conversations that you and I have just absolutely get me buzzing because of the things you know and how you go to market and make all this work, so let’s dive straight into it. You have disrupted the world of media releases. How did you go about doing that? Mark S A Smith: Literally. It was the press, it was selling stories to the press. Doug Brown: Yeah, that’s exactly right. The idea of it was that you were going to make up a little thing that was a teaser and it was going to go to the editor at the paper or the magazine or whatever it was, and he was going to sign it out to a reporter, the reporter was going to follow up with you and write a story. That’s just ancient news nowadays, and it just doesn’t happen that way anymore. First of all, there’s nobody home at your local newspaper. I’m up in Salt Lake and I’m an avid reader of newspapers. I take three newspapers every day and read them cover to cover. Back in the day, 20 years ago, my local paper the Salt Lake Tribune, it had at least 2 or 300 pages per day. Today? The average is about 25 pages. Mark S A Smith: Yeah, it’s skinny. Doug Brown: Yeah, I’m sure most of you have seen the same thing. The model for newspapers has gone away. To a lesser extent, the same thing is true for news magazines. We can sit and reminisce about the days when we used to read Newsweek, all the names that are just gone away for news magazines, it’s just changed a lot. We’ve been in the business for a long time, and we’ve seen that change. It started really in about 2005 when Google came out with Google News. That was followed shortly with Yahoo News and some other things that are like that, Huffington Post and a few of them started about that time and it really became a lot more convenient to receive your news online because it was up to date, we don’t have the big lag of several hours, even half a day lag between the time that a newspaper had to put their stories together and by the time that you could actually read them on your front porch at seven o’clock in the morning. That meant that the news that you were getting was pretty old. Mark S A Smith: Twitter has outstripped the news sources, just that instant access to what’s going on with eye witnesses. It’s completely changed how we go about doing it, and plus, millennials, my kids don’t read newspapers. They don’t read magazines. Doug Brown: No. It’s changed, and without getting into a huge discussion about if that’s good or bad, it’s just different now. The point is that press releases are still a viable thing, but they’re written from the company to the reader directly. We don’t write them anymore with just an outline of who, what, where, when, how, and why and expect a reporter to come follow-up on that. Nowadays a press release is just exactly what you’d expect to read as a finished article. That is put up on Google News and that’s where the magic happens. Google News is the third biggest search engine right now behind Google and YouTube, also Google properties by the way, so they kind of own the cycle at this point. The great thing about Google News is it’s widely read and if you’ve ever used it before, you know that you can set alerts in Google News and Google News alerts have changed the world of online press releases. Nowadays, if you’re writing about dog walking, and that’s just a ridiculous example, and you put your things into Google News, people that have alerts set for dog walking get your story delivered to them in their inbox. I mean, that’s how the world is changed. It’s much more direct. How my world has changed, anyway, how the online press release has changed. It’s all about writing directly to the consumer, directly to your target market, and distributing through Google News. That’s really where it starts and ends right now. Mark S A Smith: Yeah. We’ve changed just where the spotlight goes. It used to be the spotlight was on the company, have reporters show up and convert that into something that their audience wanted to consume, to where we have to create content that is directly consumable by the audience so the spotlight has to be on the audience. Those are still viable press releases and you do that just to build the narrative, so when somebody looks to find information about you or your people, you want to have that third party validation that you get by finding information about them in the news. In this case, through Google News in the news. That’s really how the business has changed a lot in the last 20 years, and we feel like we’re the guys that are up to date with that and trying to make press releases work in the new reality of what the world is. We feel like that some of our competitors are still out there doing things as though there was somebody at the local newspaper that was going to pick it up. Mark S A Smith: That creates disruption. Doug Brown: It does. People ask, “How do I reach the guy at the local newspaper? How do I get it in there? I’ve got a local event and I want to do that,” and I tell them, “Well, you don’t need me to do that,” because the people that at your local station, at best have an intern going through the emails and through the feed that they have, at best going through that kind of thing to decide what they’re going to write about. The best way to get to them I tell them is to write your news release up, tape it to a box of donuts and walk it in to the editor. That’s the only way that you’re going to get any impression with your local guys. Mark S A Smith: I love it. You can have an intern deliver the box of donuts. I love that idea. Doug Brown: That’s the only way you’re going to get in a local paper nowadays. Mark S A Smith: That’s great. I want to point out something that you said that’s really critical that our listener gets. The reason why you do media releases is to build the narrative when your customer goes searching online to validate that you are a valid vendor. Doug Brown: That’s exactly right. Mark S A Smith: That third party validation outstrips anything you put on your website. You can now refer in your website to that third party validation and what we’re doing here is creating authority, appearing in the news creates authority which disrupts your competitors. If you end up in the news and your competitors don’t, you have a distinct advantage. Doug Brown: That’s exactly right. You need to control the narrative around your company, because if you don’t, somebody else will. Nobody is 100% with their customers. Your happy customers are not very likely to write reviews unless you really encourage them to, your unhappy customers are extremely likely to write reviews. You’ve got to control the narrative, and like I say, if you don’t somebody else will. They’ll do it for you. Even if you are that guy that has 100% happy customers, you likely have a competitor that knows how to access Yelp or some other place and they’ll make up a bad review for you. Mark S A Smith: Count on it. Doug Brown: Reviews are not really quite as reliable as they used to be. Mark S A Smith: No, count on it. It’s going to happen, and so we have to be prepared for that to disrupt it. You’ve also disrupted the market, Doug, in how you go to market. Tell me a little bit about how Newswire has essentially destroyed your competitors by not just being a dinosaur but by selling in a different fashion? Doug Brown: It all comes back down to the same kind of idea that I was talking about. 20 years ago PR was handled by account reps that were well paid guys making six figures a year to deal with their accounts and to deal with the companies that needed to distribute press release and those guys were worth the money because they had connections at this place or that place. They could actually get you into the newspaper, get you into this or that or the other. Well, that went away but unfortunately the sales guys didn’t go away, so places like Business Wire, not to pick on somebody, but a place like Business Wire which is a Buffett company still charges more than $1000 to distribute a press release and they don’t really get anything out of it other than Google News. I mean, it’s really not going anywhere else that you can’t get with Google News. What we decided to do was disrupt that model completely through pricing, and through elimination of these high priced account reps that they just don’t serve a purpose in today’s reality for press releases. We went to a completely online model and we priced accordingly, so we took a look at our costs and we said, “If we can eliminate these high paid account reps that are in there, we can really deliver something that’s at least as good, if not better for $100 that our competitors are charging 500 to $1500 for really the exact same thing.” To do that, we had to eliminate people which is not necessarily a great thing for the overall economy, but it’s savings that we’ve passed on to our customers. Mark S A Smith: Let’s just talk about that for just a second here. The reality is that the high paid account reps lost their value because the market is moving. Doug Brown: That’s right. Moved out from underneath them. Mark S A Smith: So the fact that you can deliver an equivalent, if not better service without the account reps has more to do with a shifting value of the account rep versus taking people out of the job. The reality, my friend, is always the market continues to move, what creates value changes from day to day, and if we believe that a particular function or capability is going to remain valuable over time, you are seriously disturbed because it won’t. Doug Brown: That’s exactly right. You know, we can talk all we want about outsourcing jobs to lower price markets and all that kind of thing, but the true threat to the old economy is technology, and that’s what we’ve tried to implement in our business here is to say, “Technology has made things a little bit different than they used to be.” To be smart and to be disruptive, we had to take that kind of step of eliminating the high price guys, going to a consumer direct model and pricing it fairly based on what it’s worth nowadays, what it costs nowadays, not the old model of what is used to cost and what it used to be worth. Mark S A Smith: That’s right and if you don’t do that you get disrupted versus being disrupted. Mark S A Smith: Bottom line, if you’re not disrupting, you are going to be disrupted. That is the story. Doug Brown: Well, especially in any business that has a big labor component that can be replaced by technology, which is where we really were. We were in a business that had a huge labor component that was displaced. It was displaced by Google News. It took 15 years for everybody to figure that out, but it did happen, and it is continuing to happen. Mark S A Smith: … And there’s nothing you can do to shift that trend, other than my friends, learn every day. Grow every day. The moment you step learning and growing is the moment that your job is at risk. Mark S A Smith: Ain’t that the truth. Doug Brown: … Be making Buggy Whips anymore. Mark S A Smith: The funny part about that is there are more blacksmiths in business today than there were 100 years ago because they’ve transitioned to the leisure market. There are more horses being ridden in the United States today than there were 100 years ago. It’s just because we now have so many more people, but I love that concept. Let’s also talk a little bit about the thing that I am really excited about, how you changed how you sell by using LinkedIn intelligently. Doug Brown: Let me back you up on that a little bit. When we first made that transition, we decided that we would go with, again, a Google product, AdWords and its equivalence over on Yahoo. Basically pay-per-click advertising. We thought we could reach our people that way. Probably a lot of people that are listening to this have had some experience with pay-per-click advertising, and know that it’s become exponentially tougher to do in the last seven or eight years. It’s because it works. If you look at Google, the multibillion corporation and you think about all the great things that they do, and Google Fiber which is all the buzz and self-driving cars and this and that, and the other, one thing to remember is that 92% of their revenue comes from pay-per-click ads. Mark S A Smith: There’s a lot of competition for people, that upped the price. The days of penny clicks are gone forever. Doug Brown: Yeah. To use their real tool right now it’s 25,000 a month. They’re claiming that they’re going to bring that down. You know, Microsoft acquired LinkedIn and the big buzz is that they’re going to implement a Google style online bid market where you basically have a live auction every time there’s someone that brings up a term. I won’t get into the workings of AdWords, but an AdWords style market over on LinkedIn, which we are really looking forward to. Mark S A Smith: When that’s available, we’ll do a podcast on that, friends. Mark S A Smith: If they’re smart, if they have Google Alerts, they’ll know about this. Doug Brown: What we do is we make relationships on LinkedIn, we as a company. We don’t have a single body doing this other than one medium priced customer service guy that follows up on them. We make the connections, we use LinkedIn to tell them what we’re all about, we take the contact away from LinkedIn as soon as we’ve done that, and we put that in part of our normal online sales funnel, so we put them in an email sequence and a landing page sequence, and we’re very effective at converting those people at no pay-per-click costs into customers. Mark S A Smith: Beautiful. That, my friend, is disruptive. The thing that I’m excited about is that you are offering this as a service because I’ve signed up for the service. Doug Brown: We started out doing this completely manually and it just was taking more time than we wanted to spend at it, so we started automating some of these processes. Now, no one on the other end knows that they’re part of an automated process. Mark S A Smith: As it should be. Automation should be invisible. Doug Brown: We have an automated process now where we create connections, we give them a little bit of information about us to qualify them down a little further, and then we shift them from there into another automated process through Ontraport but probably a lot of people are familiar with other things like Ontraport, Infusionsoft, and there’s a few of them out there but we just put them in an automated process and turn them into a customer with a very low acquisition cost that we can continue to service for less than $100 a press release while our competitors are out there plugging away at 5 to 15 times that price. Mark S A Smith: That’s amazing. Doug Brown: We’re just happy with it. Mark S A Smith: That’s absolutely amazing. Do you have something you’d like to offer to our listener? Mark S A Smith: All right, that’s good. Doug Brown: I think that what we will do, Mark, and we’re going to try and do our best to turn this into a system that I can teach and I’ll be providing a webinar so that I can teach people how to do this on their own without any sort of other help. Doug Brown: Just kind of the principles behind it. Doug Brown: That’d be great. Mark S A Smith: … And saying, “I want to learn how Doug does LinkedIn,” let’s do it that way. Makes it really simple. Doug Brown: Mark, just to tell everyone what you and I have been talking about, I’ve offered to do some of this for you. We have just a handful of other clients that we’ve taken this out for, so we’re going to continue to work on this. That’s a great idea. I don’t want to lose focus on what we do around here, but I’m so thrilled with what it is that I think it would make some sense to have a few clients in separate industries. I probably wouldn’t want to take a whole lot of people that are doubling up on each other but it is a big world out there. Take a few clients and set them up. I can’t open it up to 20 people by any means. I can open it up to a very small handful right now. Mark S A Smith: And so if this is something that you want in on, figure a budget is somewhere around $3000/month, and let’s have a conversation, truly a disruptive technology that’s going to change the way that people do business. It’s been a real treat to have you on the show, my friend. Doug Brown: I love what you’re doing. I think that it’s very important to be thinking about how to disrupt and I love your comment. 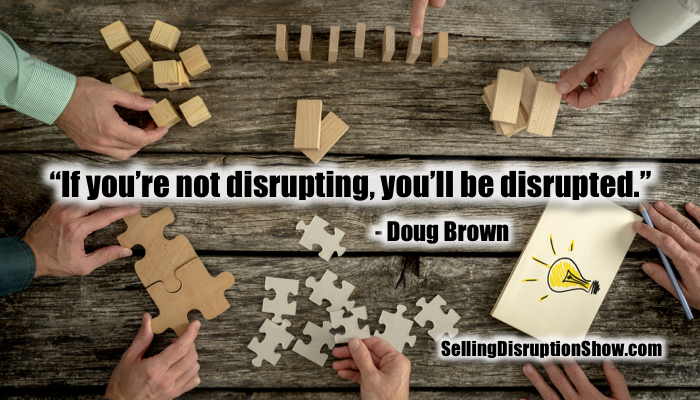 If you’re not disrupting, you will be disrupted. The world is changing under our feet in so many ways and so quickly, and the pace of that change is going to continue to expand. If you’re not part of the solution, you will be left behind. Mark S A Smith: No doubt about it. Thank you, Doug Brown.